In an effort to make web maintenance affordable and customizable, we have several packages available. Our monthly All Inclusive Packages are designed to give you all around support, whereas our Individual Packages are designed to suit your specific needs. We have 6 Individual Packages, 6 Marketing Packages, 3 Monthly All Inclusive Packages, and 3 Yearly All Inclusive Packages available. If you have any questions please email or call anytime via our contact page. We can also customize any type of monthly plan to suit your needs. *Note - All packages include marketing on our Mabuhay Designs Facebook Page See individual plans for specifics. Our Hourly rate is $30. This Monthly package includes; (3 hrs. per month Web/SEO Work) Optimizing On Page SEO (Meta Descriptions & Title Tag Optimization, H Tag Reorganizing, 301 redirects and fix any 404 issues) of any new Pages, Blogs or Articles (Written by you). Also includes; Bi-weekly Analytics Review & Submissions to Google Bing & Yahoo. All Blogs and Articles will be posted on Mabuhay Designs Facebook page for marketing. 2 hrs. per month Consultation by Email, Chat or Phone. This Monthly package includes; (6 hrs. per month Web/SEO Work) Optimizing On Page SEO (Meta Descriptions & Title Tag Optimization, H Tag Reorganizing, 301 redirects and fix any 404 issues) of any new Pages, Blogs or Articles (Written by you). Also includes; Weekly Analytics Review & Submissions to Google Bing & Yahoo. All Blogs and Articles will be posted on Mabuhay Designs Facebook page for marketing. 2hr per month Consultation by Email, Chat or Phone. 1 Related Article Written. This Monthly package includes; (12 hrs. per month Web/SEO Work) Optimizing On Page SEO (Meta Descriptions & Title Tag Optimization, H Tag Reorganizing, 301 redirects and fix any 404 issues) of any new Pages, Blogs or Articles (Written by you). Also includes; Weekly Analytics Review, Monthly Report, Submissions to Google Bing & Yahoo and a 50% Discount on Custom Coding (CSS & HTML). All Blogs and Articles will be posted on Mabuhay Designs Facebook page for marketing. 2hrs. per month Consultation by Email, Chat or Phone. 2 Related Articles Written. This Yearly Package includes, (Up to 12 hrs. per month SEO Work) Optimizing On Page SEO (Meta Descriptions & Title Tag Optimization, H Tag Reorganizing, 301 redirects and fix any 404 issues) of any new Pages, Blogs or Articles (Written by you). Weekly SEO checkups, Submissions to Google Bing & Yahoo & Monthly SEO Reports. 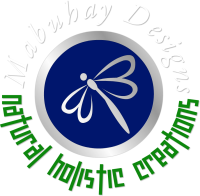 All Blogs and Articles will be posted on Mabuhay Designs Facebook page for marketing. 4hrs per month Consultation by Email, Chat or Phone. This Yearly Package Includes, (Up to 12 hrs. per month Website Work) New Products, New Pages, Blogs or Articles, Design work and a 50% Discount on Custom Coding (CSS & HTML). Submissions to Google Bing & Yahoo. This Yearly Package includes, (12 hrs. per month SEO Work) Optimizing On Page SEO (Meta Descriptions & Title Tag Optimization, H Tag Reorganizing, 301 redirects and fix any 404 issues) of any new Pages, Blogs or Articles (Written by you). Weekly SEO checkups & Monthly SEO Reports. Submissions to Google Bing & Yahoo. Also (6 hrs. per month Website Work) New Products, New Pages, Blogs or Articles, Design work and a 50% Discount on Custom Coding (CSS & HTML). *Note - SEO Packages do require some work from you. Descriptions are not included in any of the above plans. Editing of descriptions is included. Clients must submit descriptions in a timely manner for best productivity.